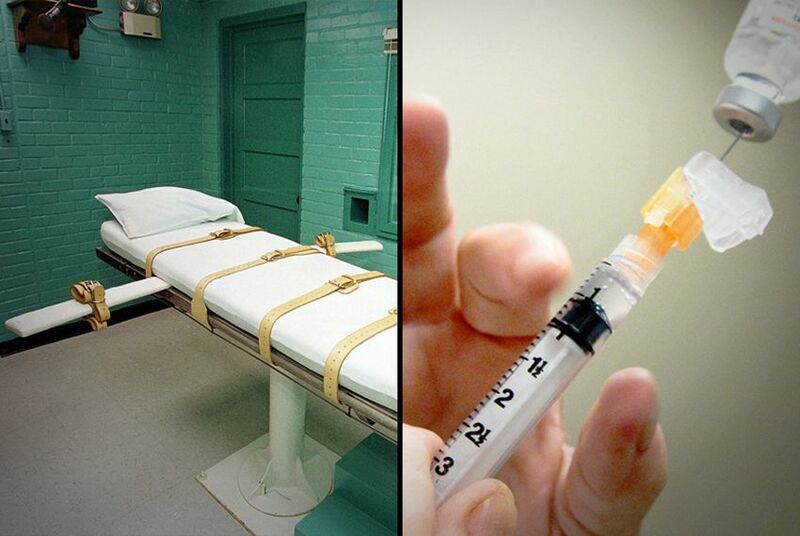 With new execution drugs in stock, the state is fighting a June Texas Supreme Court decision that would identify a 2014 supplier, claiming it would disrupt the state's ability to carry out the death penalty. After buying new, hard-to-obtain execution drugs last month, the Texas Department of Criminal Justice is fighting a loss at the state Supreme Court that would force it to name a pharmacy that has supplied lethal doses in the past. On June 1, the Texas Supreme Court declined to hear the department’s appeal from a lower court, which ruled that a pharmacy that supplied lethal injection drugs in 2014 must be revealed under the state’s public information law. Last week, both Texas and Arizona’s attorneys general fought against the high court’s denial, claiming that revealing a drug supplier could threaten the death penalty nationwide. “Put simply, public disclosure of a rare and valuable supplier of lethal-injection drugs chills other current and potential suppliers, and facilitates the escalating ‘guerilla war against the death penalty,’” wrote Nick Dranias, senior litigation counsel for the Arizona attorney general, in a brief submitted Friday. In 2014, three death row attorneys filed suit to reveal the name of Texas’ supplier of execution drugs after Republican Gov. Greg Abbott, then the attorney general, said the state could withhold the information because the suppliers faced “real harm.” Previously, he had said in three rulings that the information was public. The lawyers have said they requested the information to ensure potency and purity of the drugs used to put their clients to death, citing drug scarcity and botched executions. In the same year as the lawsuit was filed, several states — including Arizona — gained national attention for grizzly executions using new, experimental drug combinations. Texas has lost the lawsuit at every point in the court process. Though the 2015 Texas Legislature passed a law that made secret any identifying information of those involved in executions, including drug suppliers, the law was not retroactive. It is unclear whether the 2014 supplier is the same pharmacy that provided drugs in June. But the department is not giving up. On Wednesday, the state filed a motion for a rehearing, asking the state Supreme Court to reconsider its rejection last month. The motion, which was expected, came after the department obtained a new batch of execution drugs in a market that has become increasingly scarce. On June 18, the department received 15 new doses of pentobarbital, a drug commonly used as a sedative and the only drug used in Texas executions, according to inventory logs obtained by The Texas Tribune. The last doses purchased were in early 2017, and the department had relied on extending expiration dates of doses to carry out executions before the recent purchase. In its filing, the state pointed to the effects the high court’s denial has already had — Arkansas inmates have sought to obtain the identity of Texas’ supplier. In an anonymous affidavit, a pharmacy that has provided drugs said that it would no longer conduct business with TDCJ if its identity is revealed. The affidavit does not mention when it supplied the drugs, or if it still does. “Nor is it our proper role ... to consider whether or how disclosure might impact the availability of this particular source of supply to TDCJ, or any others, in the future,” wrote Justice Bob Pemberton. Texas has argued that there is a threat of physical harm, pointing to angry emails and protests of The Woodlands Compounding Pharmacy near Houston after it was named as a supplier in 2013. The state has also cited Steven McCraw, director of the Texas Department of Safety, who said in a one-page memo that some of the threats received by The Woodlands pharmacy should be taken seriously. The memo was a result of a threat assessment asked for by the prison department. But the lower court of appeals wasn’t convinced.